A novel isolate of a bacterium, capable of degrading trichloroethylene (TCE) and growing on this as the sole carbon source is reported. The test strain was isolated by an enrichment technique with trichloroethylene as the substrate. The isolated strain belongs to the genus Bacillus. 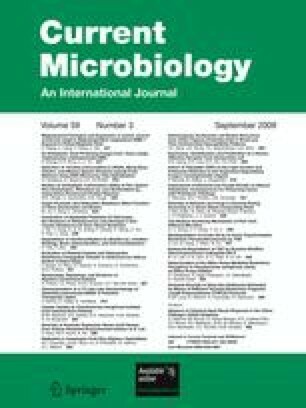 The practical utility of cleaning up oil spillage by bioremediation could be extended to this bacterium to degrade the environmental pollutant, which is used in metal degreasing in industries. Cells of the novel bacterium immobilized on calcium alginate were found to have better trichloroethylene degrading activity than the ones which were immobilized on agar-agar or free cells. The authors gratefully acknowledge the help from Dr. S. S. Mishra, Mr. Utpal Bhowmik, Principle Scientists, Central Inland Fisheries Research Institute, Barrackpore, West Bengal and Mr. R. N. Mazumdar, Chairman, Rahul Foundation during the entire course of investigation.